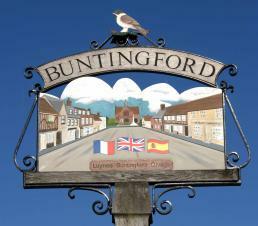 Buntingford is well served by a variety of clubs and societies that provide leisure and cultural activities. The University of the Third Age (U3A) and Buntingford Adult Learning For Fun (BALFF) are two organisations that specialise in the older age group. They organise many talks, trips, etc. covering a wide range of subjects. For more information, please check the Directory. There are a number of specialised clubs such as Cage Bird Society, Gardening, Flower, Local History & Railway, Choir, Dramatics, Town Twinning and Women's Institute to name but a few. Again, have a look at the Directory and find something that appeals to you. The Young People are also catered for with the usual Scouts and Guides as well as Football and other sports. There is a Youth Club that meets a couple of times a week.